Starting a Security Company via TechPro Security Products – Security Dealer Distribution Program will help you earn bonus income without a large financial effort. A low cost (your time) startup with high profit business model will help you succeed with your venture. Taking a risk is never an easy task. There is a common thread financial analyst point to for most successful business ventures. Somewhere along the line someone takes a risk. Successful businesses aren’t only for the extremely wealthy or persons specially connected. You don’t have to step off a ledge or swing for the fences every time. 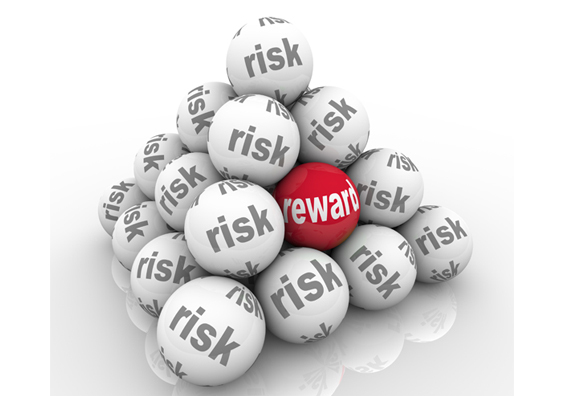 Taking a calculated risk will help minimize your chances of a loss. There are hundreds of great business models that use the franchise method. The predominate downside associated with franchises are the start up cost and continual fees which are out of your control. TechPro Security Products has an ingenious system that is mutually beneficial to all parties involved. Be your own boss and control your destiny plus make lots of additional income. With TechPro Security Products innovative Security Dealer Distribution Program you can set the bar as high as you would like to go. There is no initial funding needed or astronomical franchise fees. All you will need is the determination to succeed. This is where the calculated risk part referenced earlier comes into play. 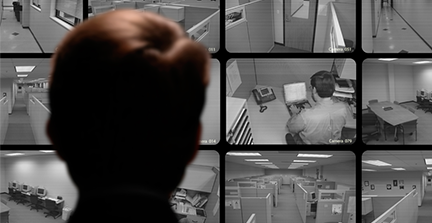 TechPro offers the most competitive pricing possible in the security surveillance industry. Private branding services so you can be easily recognized and carve your own bright future. Free system design services for all types of security platforms. Dedicated support staff consisting of United States based security experts. East Coast and West Coast facilities makes shipping to your customers a breeze. Since the beginning of time – crime and theft has always been an issue. Someone took an apple (theft) and someone got killed (crime). In today’s society Security Surveillance is an ever expanding industry because everyone requires some level of it to function safely. Just about any type of business with a storefront should have a security system. In fact almost all gas stations, convenience stores, grocery stores and banks are required to have more than 1 camera. One pointing at the cash register and one for the door. Follow the money trail is an age old saying in the law enforcement arena that still holds true today. Having a good security system is paramount to keeping track of resources (inventory & employees). Are you now starting to see the calculated risk? TechPro Security Products is offering you the opportunity to partner with an industry leader. The ball is headed into your court but always know that TechPro is here to support you and your business. TechPro Security Products is providing all the ingredients your business needs to be fruitful. How far you can go depends on your determination. The opportunities to engage clients are endless. Businesses aren’t the only prospective clients for security surveillance products. Homeowners have the most to protect. Assets do have a price tag associated with them but family members are priceless. Common sense mixed with some purposefulness will take the calculation out of the risk. Networking has always been a major tool for promoting any type of business. The wide open market for prospective buyers of security surveillance products makes it easier to open doors. The Security Dealer Distribution Program gives you all the tools you need. You don’t have to write a business plan or hire someone to do this for you. TechPro Security Products has done the majority of the legwork for you. There is no choosing of a business location – you can sell anywhere. You don’t need to take out a SBA (small business administration) loan or mortgage your house. The legal structure of your business model has already been ironed out by TechPro Security Products. This proven successful plan will help you achieve greater financial security. Your time is the only risk when starting a security company. The Security Dealer Distribution Program has a few different tiers depending on your goals and aspirations. Installer, Reseller and Distributor. Are you an experienced Installer or are you knowledgeable with electronics? Has anyone ever told you that you could sell ice to an eskimo? Perhaps you already have an existing client base and would qualify for our distributor program. The key objective of the Dealer / Distributor program is offering the most up to date security surveillance technology with competitive pricing. Excellent margins are just another example of our commitment to you. In addition to being the manufacturer TechPro Security Products offers US based support and services across the board for all of their products. All TechPro Security Products undergo lengthy bench testing to ensure they meet our precise standards. We support all participants of the program equally whether a hard working one man band or the mega security services provider. The services and products you can offer are chosen based on demand and usefulness. Access Controls (Boards and Panels, Cards, Converters, Door Strikes, Magnetic Locks, Power Supplies, Readers, Standalone Readers, Request to exit buttons), Analog CCTV (Analog DVRs and Security Cameras), HD-CVI (HD-CVI Recorders and Security Cameras), Network IP (IP NVRs and Security Cameras), HD-TVI (HD-TVI Recorders and Security Cameras).